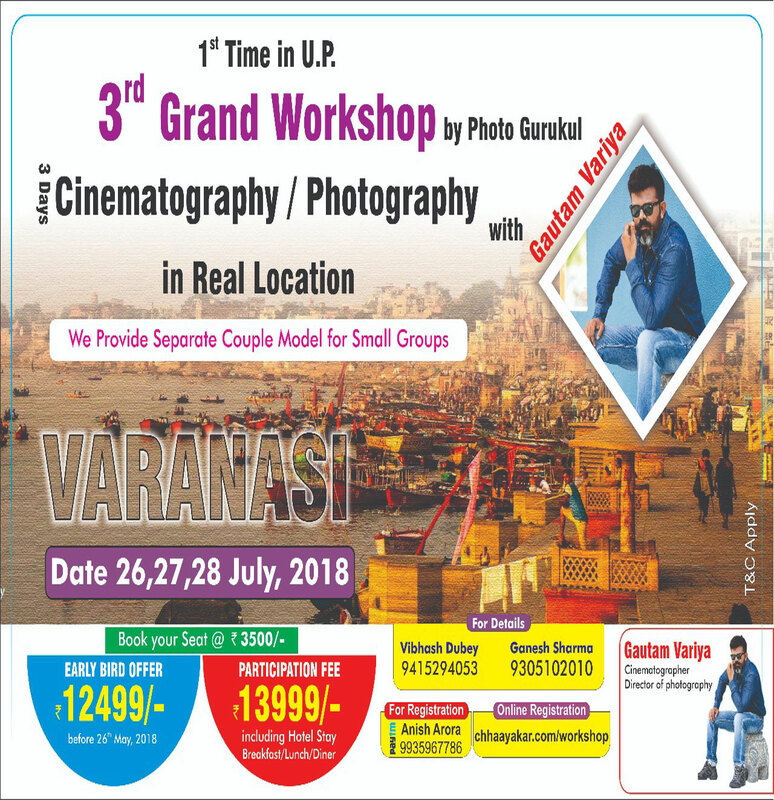 on 26, 27, & 28 July, 2018; This is the first such workshop being organized in U.P. 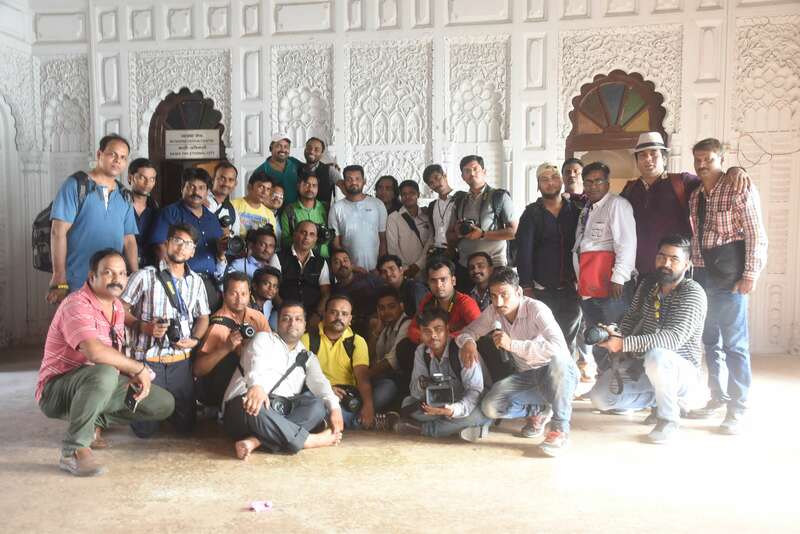 The mentor for the workshop will be Mr. Gautam Variya, a renowned Cinematographer. 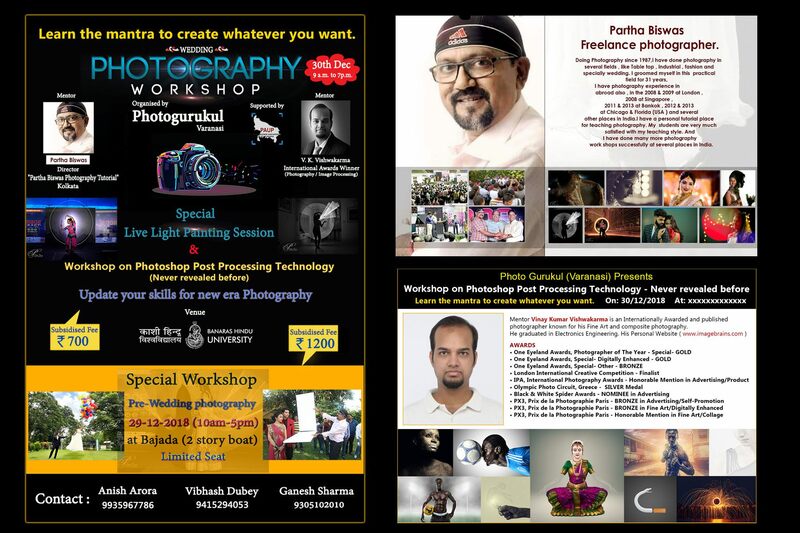 During the workshop , Mr. Gautam will be telling us how to edit Cinematography / Photography in real location to give much superior results. 4. No one shall be entertained after the last date of registration is over. 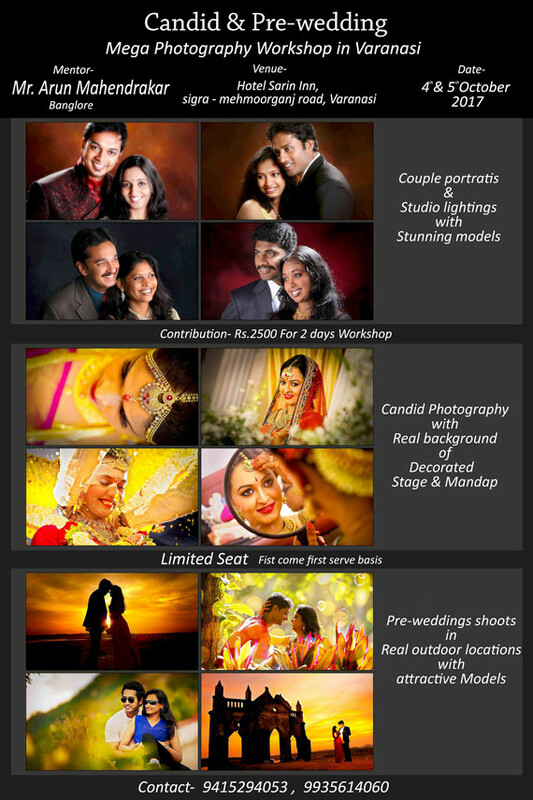 Get your wedding days more special, contact Best Professional Pre-wedding Photographer in varanasi. on 31st March and 1st April, 2018.. This is the first such workshop being organized in U.P. 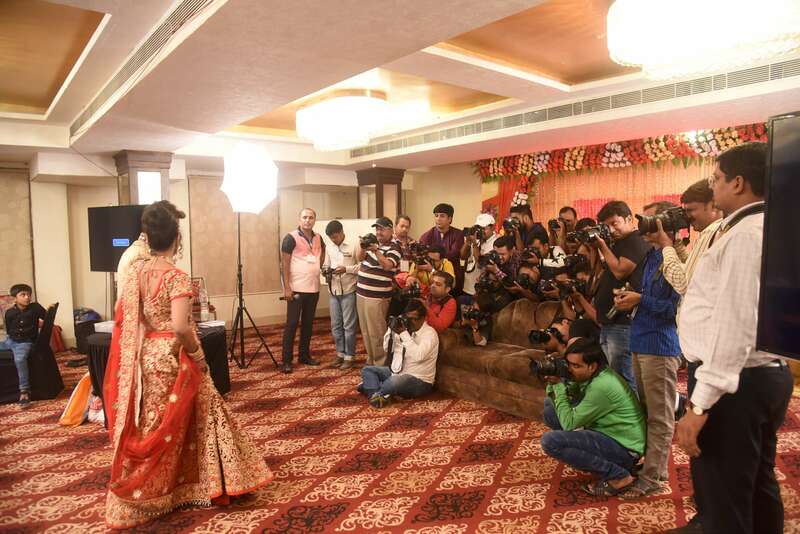 The mentor for the workshop will be Mr. Swapnil Ramani, a renowned wedding photographer, based in Udaipur, Rajasthan. 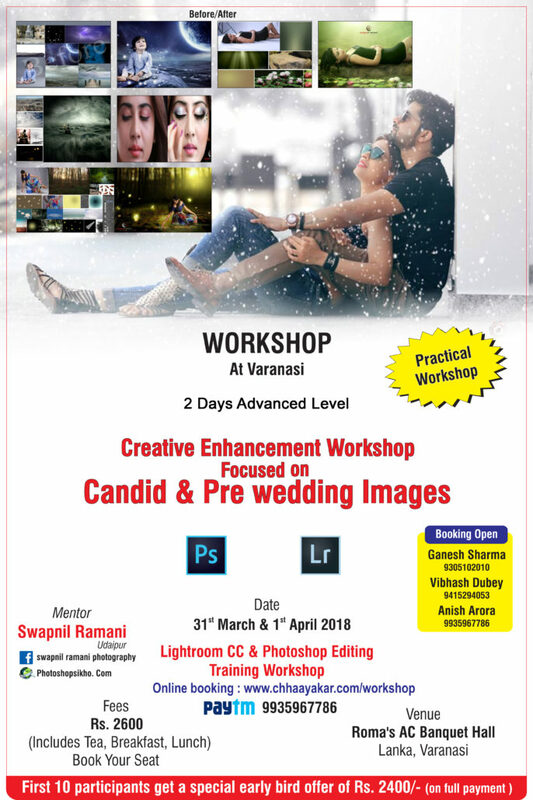 During the workshop , Mr.Ramani will be telling us how to edit candid and prewedding photos using photoshop and lightroom to give much superior results. 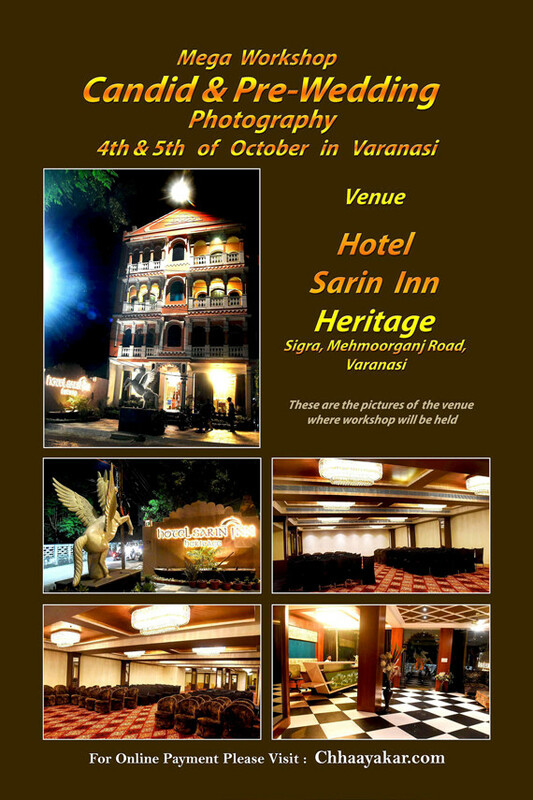 in the holy city of Varanasi on the 4th and 5th of October, 2017. 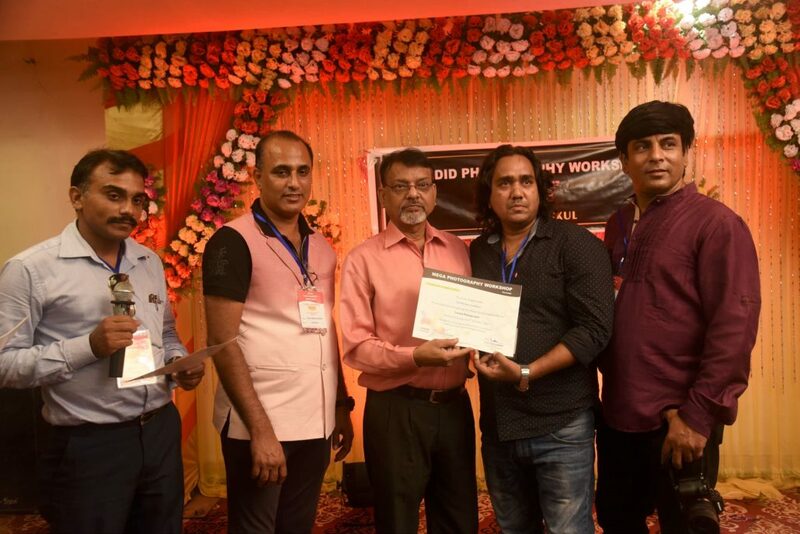 This is the first such workshop being organized in U.P. 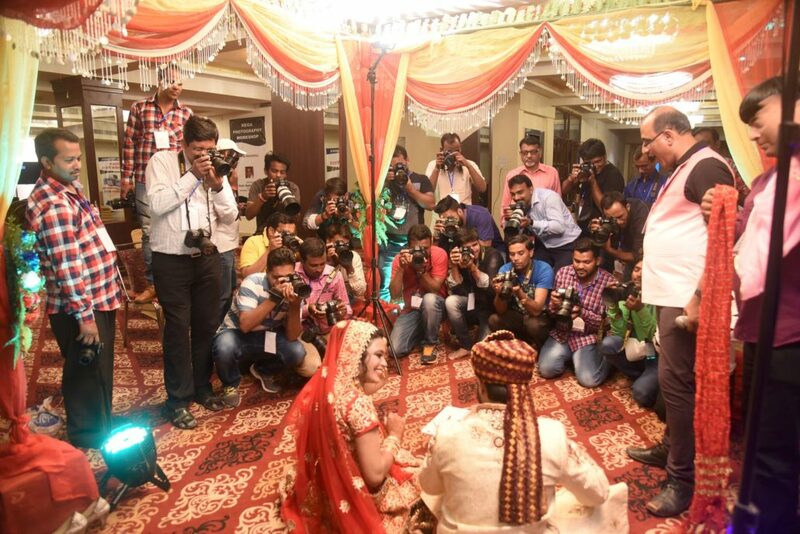 Mr. Arun Mahendrakar, a renowned wedding Cinematographer from Bengaluru. 2. 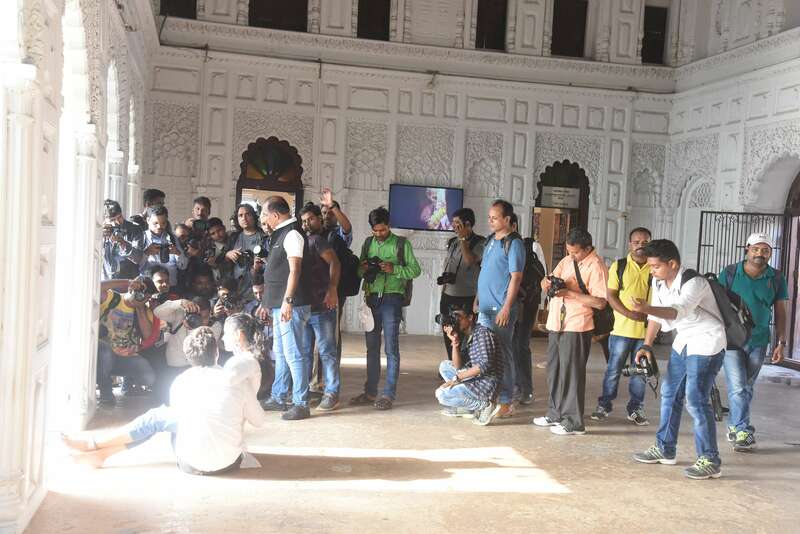 All participants must carry their Camera Kit. 4. The programme co-ordinators have full right to evict anyone who fails to do so. 5. No one shall be entertained after the last date of registration is over.